Khitai is an unexplored land in Howard's works. Yet, it is known to be the home of great sorcerers whose spells are feared by those from the West. 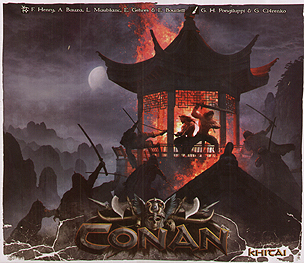 Take Conan and his companions East to this mysterious land as they are swept up in a sinister assassination plot!